To help Curtin students, Christian or not, explore the difference that Jesus makes. To support Christians at Curtin University in becoming all that God designed them to be. Share the good news with every student about what Jesus has done for them. Strengthen our relationships with Christ and each other, and our maturity in him. Provide teaching and training to prepare us for all of life. CCU exists solely for the students of Curtin University. Anyone from any church is welcome to join us, as are those who do not attend a church. CCU members come from a wide variety of church backgrounds. CCU is a partnership – all students, graduates and staffworkers work together to achieve our aims. 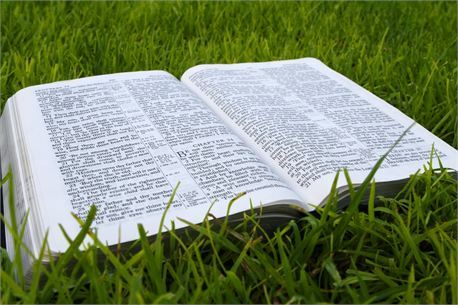 CCU is evangelical – this means we are on about the gospel, the good news of Jesus, shown to us in the Bible. It is God’s word to us. That’s why we are committed to learning more from the Bible and letting others know about Jesus’ love for them. Curtin Christian Union is led by a committee of students, who each bear certain titles and responsibilities. It is these people who do most of the planning and decision making throughout the year. The committee is elected each year from CCU student members, by CCU student members. The 2019 Committee consists of Stephen (president), Gabby (VP), Emma (secretary), Luke (treasurer) and Jared (general member). Assisting the committee are staffworkers, who have completed formal theological training. The staff-workers are at Curtin University to provide support, training, and sound Biblical teaching, to encourage students in their walks with God, and to inspire students to let others know about the good news of Jesus Christ. Peter, Kate, Grant, Sarah and Nathan are the staffworkers at Curtin. Ministry trainees also assist on campus. In addition, some CCU members are organised into working teams, who plan and run various aspects of what we do, with guidance from the committee and the staffworkers. Some of the areas that the working teams manage include the Bible Talks, Bible studies and prayer. The divine inspiration and infallibility of the Holy Scripture as originally given, and its supreme authority in all matters of faith and conduct. The universal sinfulness and guilt of humans rendering us subject to God’s wrath and condemnation. The necessity of the work of the Holy Spirit to make the death of Christ effective in the individual sinner, granting them repentance toward God and faith in Jesus Christ.